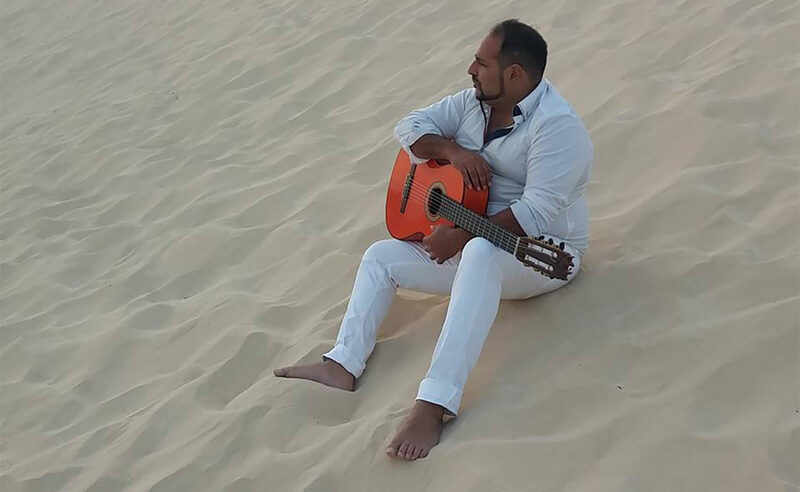 The Festival de Jerez will get started on February 23, when the curtain of the Villamarta theater will rise to present a performance by the Ballet Nacional de España, an eagerly awaited moment, as this company hasn’t performed in the festival since 2006. This show will open an event that has been held for 22 years, a span filled with achievements and evolution in baile and dance. In those, days Jerez will become the epicenter of the worldwide attention on this artistic genre, as we must acknowledge that this festival is regarded not as “one of the most”, but as “the most” important and relevant event for the press, the aficionados and the artists. 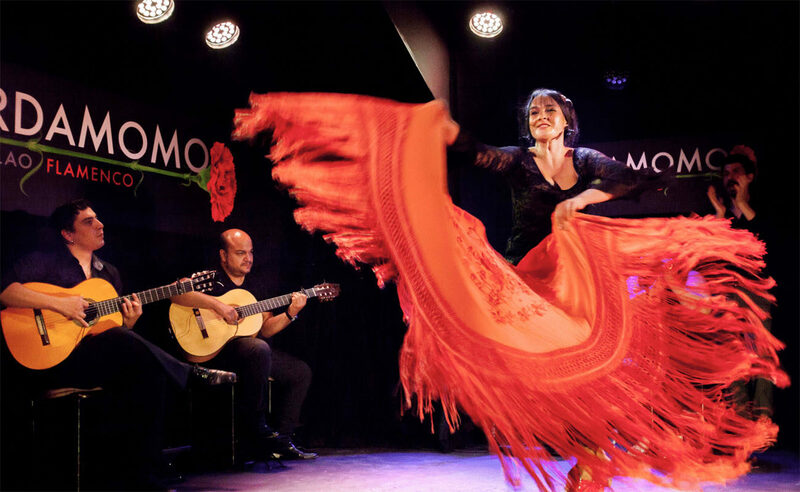 This year we’ll be able to witness, once again, the love for baile flamenco from all corners of the world. 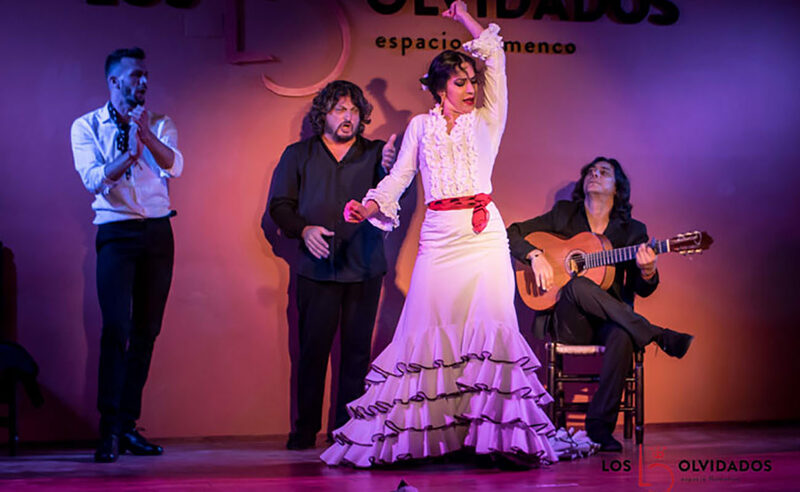 A glance at the diverse points of origin of all those taking flamenco courses during the festival allows us to underline the far-sighted vision that Francisco López originally had when he decided to undertake this project based on learning and the interaction between the artist-master and the aficionado-student. At this stage, still one month before this festival takes place, the courses on offer are already filled at 90% capacity, quite an impressive number, comparing with earlier editions. One thousand spots have already been filled by students from various countries such as Japan (the country with the highest number of visitors to this festival), Germany, France, USA, China, Canada or Italy. These are the countries with the greatest number of students attending this event, and the case of China is noteworthy, as it’s the first time in these 22 years that this nation features among the top countries. We must also point out a considerable increase in this edition of students coming from Brazil and other South American countries. Out of 46 courses scheduled in this edition, 31 are already filled to capacity, and only a handful of spots are available for the remaining courses. It’s remarkable that all 1.120 available spots are usually sold out, what shows the prestige this event has acquired over the years. 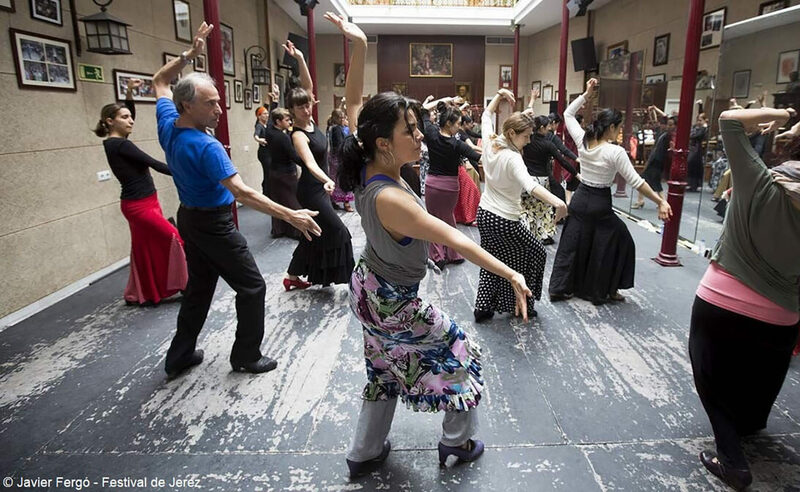 Among the master instructors available, there are the most veteran ones, such as Angelita Gómez and Manolo Marín, as well as 23 others from different schools of baile, such as the Jerez school or the Seville school. This year, once again courses will be offered by great artists such as Manuela Carpio, Rafaela Carrasco, Marco Flores, Gema Moneo, Leonor Leal, María José Franco, La Moneta, María del Mar Moreno, Pilar Ogalla and Javier Latorre (the latter historically being one of the most in-demand instructors). The most natural baile por bulerías will feature in these courses alongside techniques in the handling of the bata de cola, mantón or castañuelas.